Abrasion resistant porcelain-enamelled hood and body to prevent blistering and peeling the Jupiter 4 Burner features a porcelain enamel grill with a removable circular grid for placing a pizza stone, wok or griddle pan. With a nice roomy cabinet and food warmer no-one will go hungry, no matter how many guests you're entertaining. 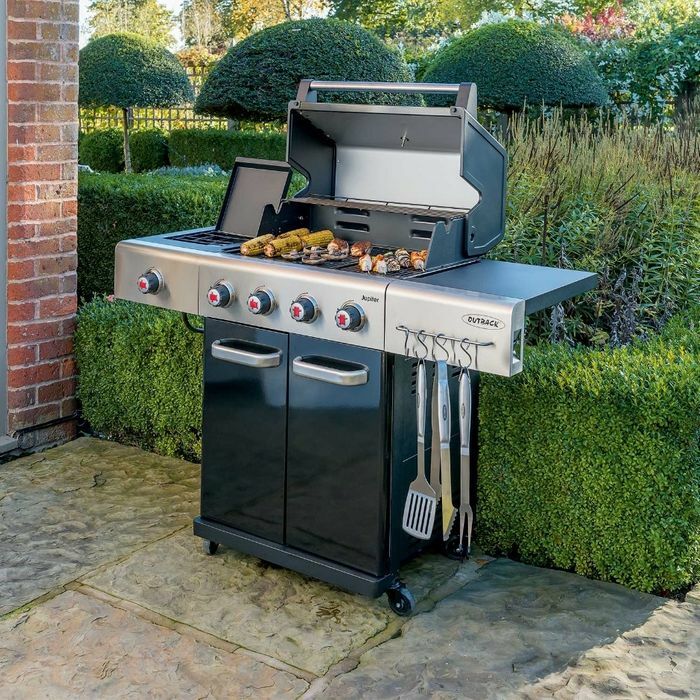 As well as the large cooking area it has a side-burner, excellent for heating sauces or cooking vegetables and a heat gauge to guide you to culinary perfection. It also features handy side shelves with tool hooks and an incorporated bottle opener. It comes complete with a weather-resistant cover and is easy to move around on castors with secure locking. What do you think of this Wyevalegardencentres deal?